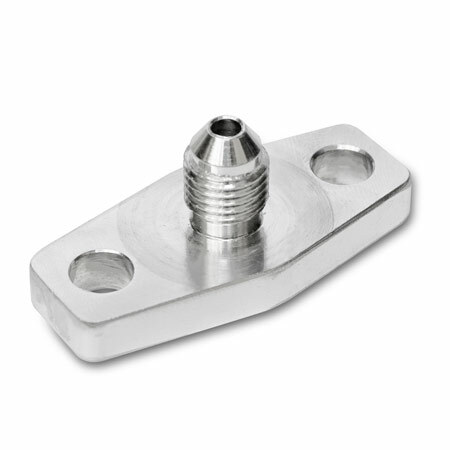 Oil feed flange with integrated -3 AN/JIC male flare. Low profile one piece design for easy installation. Intended for compatible turbochargers without a threaded oil feed port. 1.5" bolt center to bolt center spacing.